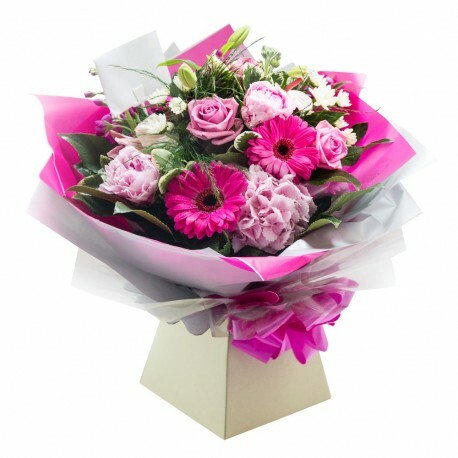 Just like beautiful Cherry Blossom Trees this vibrant blooming bouquet is simply stunning just like Cherry Blossoms. Perfect to brighten anybody's day. This stunning arrangement is available for deliver in Whitburn, Bathage and all over West Lothian.